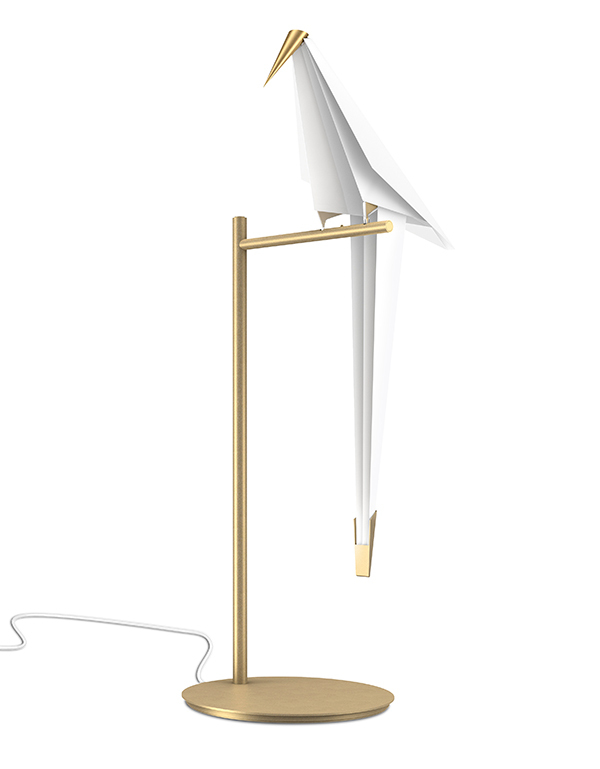 The Perch Lights celebrate the beauty and poetry of a bird perched on a branch, rocking darkness away when set in motion. 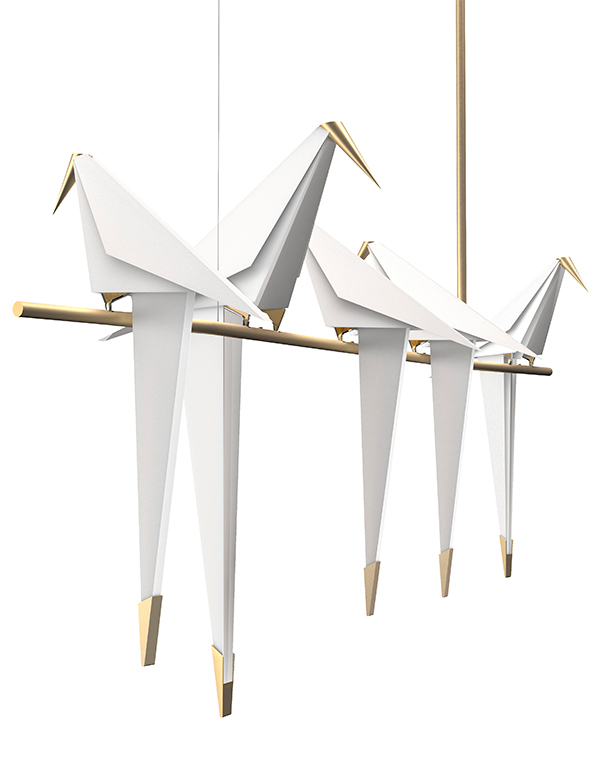 Crafted from paper in the form of an abstract bird sitting on a branch, the illuminated birds swing when softly touched and gently glow. 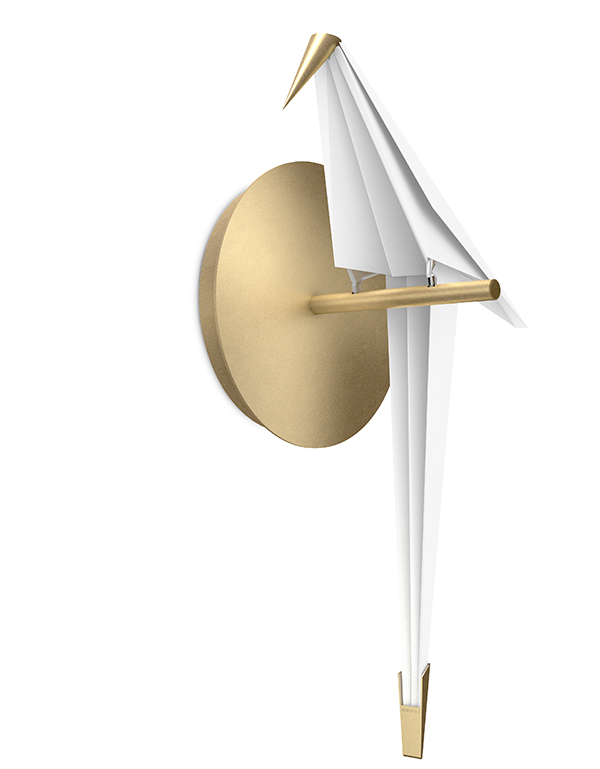 The Perch Light family includes six designs featuring avian figures sitting on brass stands. 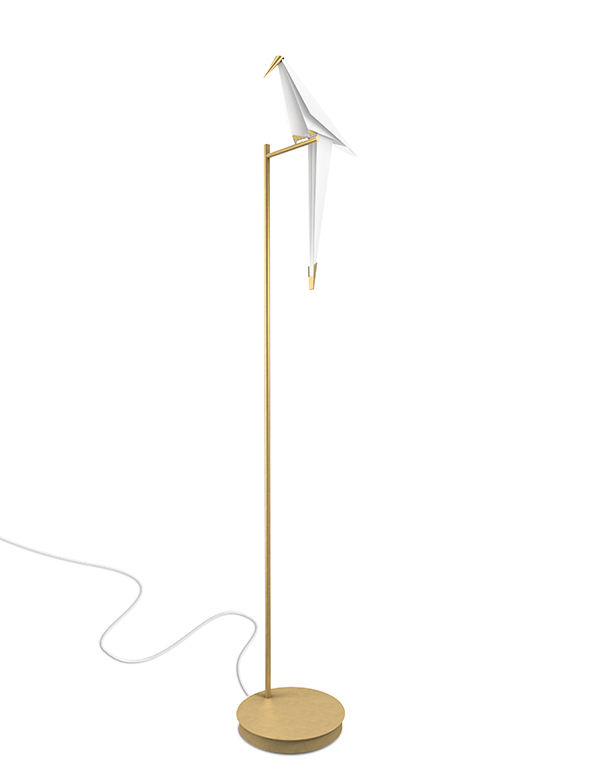 The series includes table, floor, wall and pendant lights. Browse the Moooi collection on the Space Furniture website: Space Australia / Space Asia.